These are samples of my blown glass ornaments, colorful accents for the holiday season or year round decorative pieces. 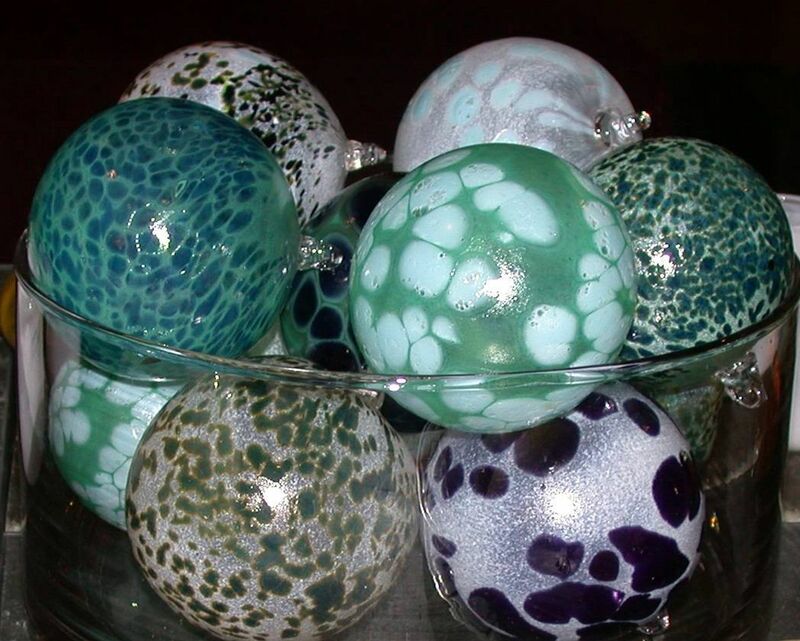 The orbs display beautifully on a tree, light fixture, or hanging in front of a window to catch the sunlight. Custom choices allow for a variety of color combinations. Approximate size is 3.5" in diameter.